You step into the unexpected at Lipscomb University. We're a nationally ranked Christian university located in Nashville. Here you deeply connect with peers and faculty and grow in knowledge and faith. And that’s just the beginning. We’ve been helping students find their path, set their pace and make the best decisions for their future since 1891. On our beautiful 113-acre campus, you’ll find yourself immersed in a creative and challenging academic environment. Our 4,600 students are working toward everything from earning bachelor’s degrees in accounting to becoming Doctors of Pharmacy. Experience the best of faith, knowledge, innovation and service within our close-knit community. No matter what kind of learner you are — first-time freshman or graduate student, military veteran or online student — you can find a place here. Our campus doesn't stop at 113 acres. In fact, it extends throughout the world-class city of Nashville, and we get to draw from its limitless resources through our network of local leaders. Our nationally ranked academic programs foster innovation and community. Collaborate with other passionate minds in a curriculum that emphasizes interdisciplinary engagement. Grow spiritually as much as you grow intellectually. The type of education we offer instills a perspective of service as you apply your expertise with courage and kindness. Take the first step toward your future of living, learning and serving as a Bison by exploring our application and admission process. Test scores count, yes; but what counts more is who you are, where you’ve come from and where you want to go. You’re not new to the college scene, but you probably still have some questions about what it takes to become a Bison. And no matter where you started, Lipscomb is committed to making it as easy as possible for you to get here and finish strong. Our student body has a diverse makeup, with 50 different countries represented. Add yours to our campus! We believe that diversity enriches the learning experience, which is why we intentionally reach out to the global community. Set yourself apart by taking your learning to the next level. Lipscomb has a wide variety of graduate offerings, but all of our programs have one thing in common: once you’re finished, your degree will empower you to thrive professionally. Combine the value of a Lipscomb education with the opportunity to learn from around the globe by exploring our flexible online offerings. Earn your degree at a pace and schedule that works for you, without compromising academic quality. You chose to serve your country—now let us give back to you. Though Lipscomb’s participation in the Yellow Ribbon Program, eligible military veterans and their families can receive discounted or free tuition toward a degree. Your situation and educational background are unique, and we want to make sure to point you in the right direction to get you started at Lipscomb. If you are an adult, second-degree, visiting or non-degree student, then this section is just for you. Okay, so you’re not the one going off to school. But that doesn’t mean you don’t have just as much stake in the matter! Whether you’re a guidance counselor or guardian, your role is instrumental in getting your student to the right place. Each year thousands of Lipscomb students afford a life-changing education. 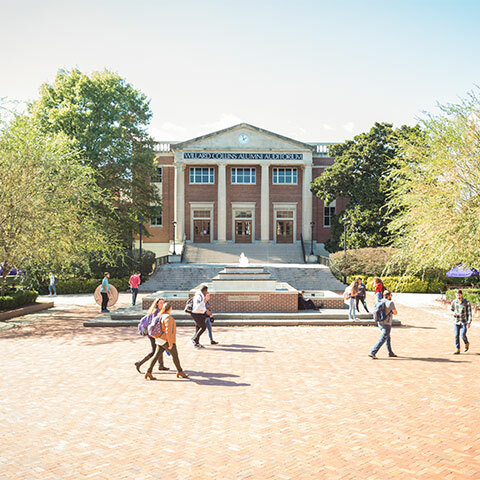 And they do it because at Lipscomb, 99 percent of undergraduates receive some form of financial help, from merit-based scholarships to work-study programs to federal grants. We’ve seen the way our students change the world—that’s why we’re committed to helping you get here by finding a path to make your education affordable. Find out what your options are.